Happy Fourth of July! Today we're sharing a perfect summer cocktail recipe from Anthony, a captain at Eataly's Manzo restaurant, who has worked in the NYC restaurant industry for 11 years. Combine all ingredients in pint glass full of ice and stir like a proper lady or gentleman. Never shake! Ever! Strain into a rocks glass half full of ice or with a trendy single large ice cube. Sip as you stir for best results. Check out Anthony's blog at dontblogwithyourmouthfull.blogspot.com. With Father's Day Weekend coming up, the Harri Team got all hot and bothered when Brian, Harri's Marketplace Manager, started talking about making a fresh brew of sangria to celebrate the holiday. The second he started talking, we knew we needed to share the recipe! 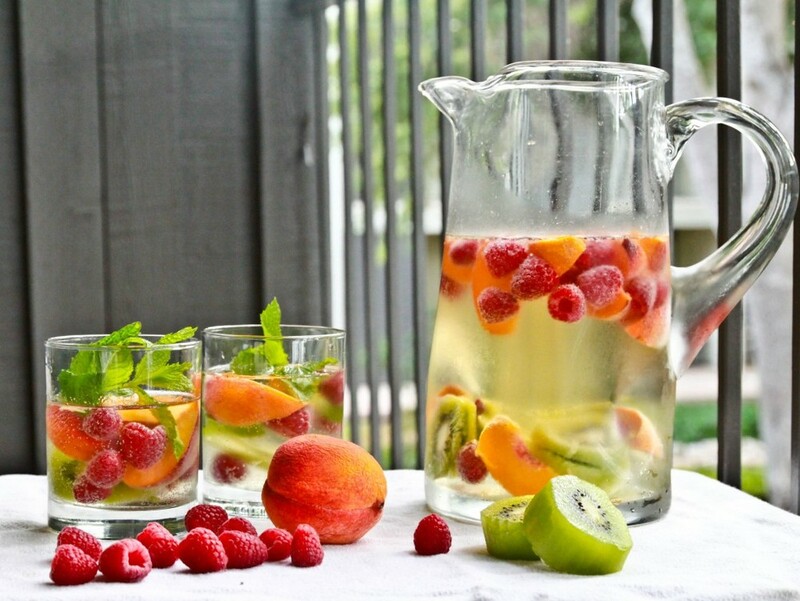 Check out Brian's White Summer Sangria Recipe below. Cut the fruit into slices (bite-sized works best - because let's get real, eating the fruit is the best part) and place into a pitcher. Pour in the wine and stir with a wooden spoon. Add the Hendrick's and stir (add more or less based on how boozy you want it to be). Pour in the tonic and lightly stir. Let sit in a refrigerator for 4 hours. NOTE: If you want to let the sangria soak overnight, be sure to add the tonic, peaches and blackberries only 4 hours before serving in order to maintain the best quality. Happy Father's Day! And don't forget that sangria is made for sharing (even though we wouldn't complain about having a whole jug to ourselves).